Here are two free utilities that are so incredibly valuable, it is stunning that they are both free (one is licensed under the Gnu Public License and the other is open source). Grabbing on-line help and reading it off line. You can set properties to control what is found, what is excluded, and most important, how fast and hard HTTrack hits the site you’re mirroring. Be sure to read their document on how not to use HTTrack so as to avoid infringing copyright or (worse?) bringing the site to its knees. It is very easy to avoid all of this, however, and they provide instructions for the few settings to keep an eye on. 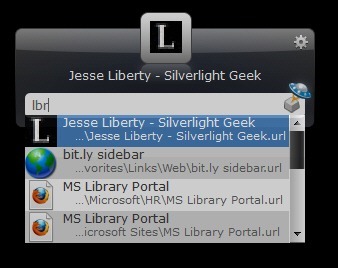 The key issue is to focus on the links tab and the Flow Control tab, shown in the figure on the left. 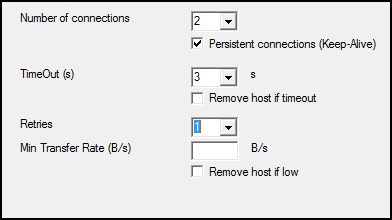 Flow control allows you to set the maximum number of simultaneous connections, the timeout value and the number of retries on a timeout. By limiting the number of connections you can avoid swamping a site. The limits tab allows you to set caps on the size of files, the depths of the links and so forth. When HTTrack is done, you are left with a mirror of the original site on your disk, which you can negotiate in any browser (or from within the program itself). This is a gem of a utility, and very nicely executed. Update June 23, While this program is incredibly useful, I’ve noticed that the system monitor has shown its working set to be approximately 85MB while its Commit size has been over 1.5GB – that certainly looks like a nasty memory leak, and while I do like this program, I’ve suspended it for now. The idea of this program could not be more straightforward. Hit Alt-Tab to bring up the small window shown on the left and start typing the name of a program, file, folder or website. As you type, Launchy starts to display matches. If you pause for a moment, Launchy will display all the matches that type what you’ve entered so far. The manual assures you that you need not worry about capitalization, punctuation, or even about spelling – Launchy is a good guesser. As you can see in the figure, I typed in LBR and it found my web site and made a couple other clever guesses as well. When the program (or file or folder or website) you want is found, just hit enter and it is launched. Click elsewhere on the screen (or press escape) and Launchy is dismissed without taking action. In either case, having launched a program or been dismissed, Launch fades away into the background until you call it forward again. There are dozens of options you can set (what is indexed, fade out time, etc. I used the options to set Launchy’s hot key to control-space as that is what I use on the Mac for a similar program, though since Launchy is cross-platform I may end up with Launchy on all of my computers). Launchy is highly extensible with plugins, and a number of very useful ones are included. The Runner plugin is extremely handy, it allows you to create your own shortcuts, with parameters. Thus, I created the command Bing. Press tab, and enter the term you are searching for. Hit enter and the browser comes up and executes the search. Sweet. In short, Launchy is small, elegant, and brilliantly useful. I may never click on the start mernu or an icon again. This entry was posted in Opinion and tagged Tools. Bookmark the permalink. The GPL (sometimes ‘GNU GPL’) is the “General Public License”, not the “GNU Public License”. Similarly, LGPL is Lesser (formerly License) General Public License. I have a question or two if you can suggest an answer, I am not a web developer, other areas and I have some visual difficulties, with boring, bland colors and blends, also sizing. Is there such a templete or add-in control pad that I can change colors and perhaps text quickly, similar to what you have here and I use on my desktop… I suppose a nice website would solve it. I use XP Pro, SP3 with explorer, and Win 7 with Yahoo, etc, its really the damn MS web displays, any ideas? There is also a version for iPhone. For instance, I have 2 keywords to launch Visual Studio, vs and vsa, the later runs VS with ‘elevated’/admin credentials. Thanks. HTTrack can be very useful for me and other webmasters. Thanks alot for sharing. I appreciate it.